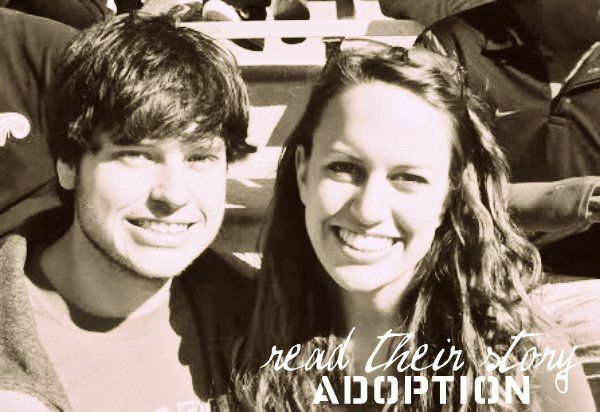 read this guest post about adoption! We are a seemingly typical young married couple. We live in a two-bedroom house, we have a dog, and our yard holds a grill that is known to make our neighbors mouths' water when we fire it up. Now, we are having our first baby! But I'm not pregnant. We are adopting from Taiwan. The first thing many people assume is that there is something is wrong with our baby-makers. As far as we know, they are fully functional ;-) Adoption, for us, is Plan A. We are not adopting because we can't have biological children, but because we feel God calling us to adopt. To adopt and love a child without parents. To make him or her eat their veggies and clean their room. To teach them about Jesus. Currently, statistics state that there are over 147 million orphans in the world. We can't save them all. But, we hope to make a difference in the life of just one. Why am I telling you all of this? Because we need your help. It probably comes as no surprise to you that adoption is expensive. There are fees associated with our application, country, home study, legal documents, notarization, translating, background checks, fingerprinting, travel, visas, and more. Is your head spinning? Because mine is! We'll certainly be writing checks to our agency, but our money will also be flowing into our local and state governments and various institutions in Taiwan (like the orphanage, courts, etc.). Airlines won't fly us around the world for free, doctors need paychecks to buy their kids dinner, and social workers like money to buy a cute top from time to time. How can you help? By participating in The Twenty for Taiwan Campaign. Basically, the idea began as this: if 1,250 people each donated $20.00, our fundraising would be over. Finished! Kaput! Exciting, right?! For the cost of one dinner out, you can help give an orphan a home. For the cost of one shirt at the mall, you can help a husband and wife become a mommy and a daddy. So, please consider donating just $20.00! And after you do that, write about us on your blog or make this post your facebook status for a day! It would mean so much to us. We can't wait to have a toddler in our kitchen on Saturday mornings, eating pancakes and getting sticky fingers. We want to see how high we can swing on the playground. We are looking forward to snuggling on the couch after bath time, before bedtime, reading a book. Many of you already enjoy these moments with your child (or children). Will you help our child get home? As of now, WE ONLY NEED 1,200 MORE PEOPLE TO JOIN THE CAMPAIGN! Will you make this number 1,199 by donating just $20.00?